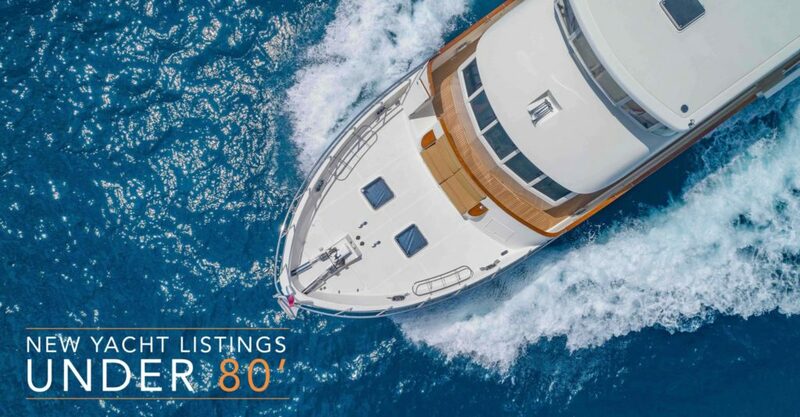 Some yachts are built for people who love to go fast and explore the ocean, while others are fitted with ultimate sunbathing and day cruising in mind. 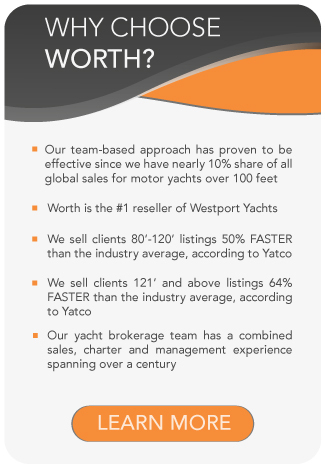 Featured below are the newest central sales listings added to our fleet in the 80′ and below market. BLUE EYES offers the cruising yachtsman great sea-keeping capability, handsome lines, a custom design, practical four stateroom layout, giving her great integration with the careful thought of extended cruising. 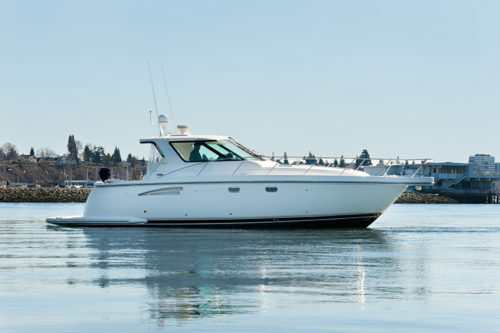 WHISTLE is a 76’ Lazzara Breeze with many custom upgrades and features. 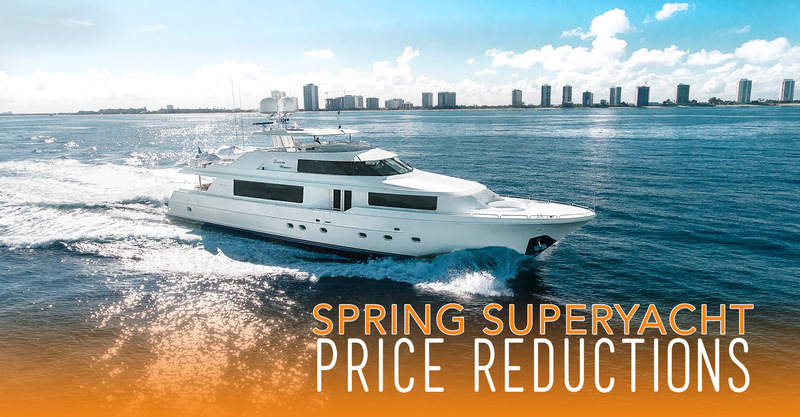 Her 4 stateroom layout offers spacious accommodations plus a large crew cabin aft. Custom fabrics and high gloss finishes create an inviting feeling throughout the yacht. 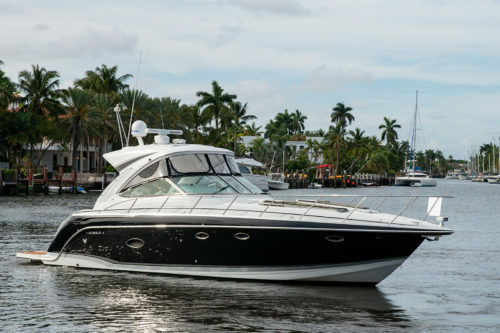 Her fully air-conditioned flybridge features a spacious Jacuzzi, full-service wet bar with stools and a built in BBQ, sun pad. 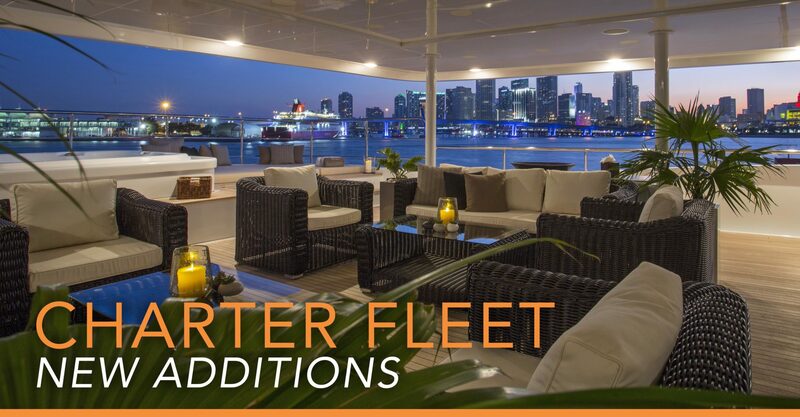 There is plenty of seating around the sundeck for large groups of guests to socialize. 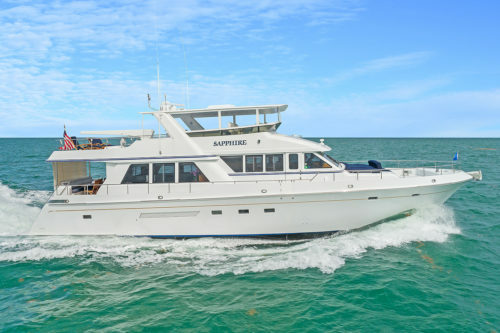 SAPPHIRE is a truly custom, one of its kind, motor yacht with impeccable quality throughout. The engineering and design of this luxury yacht is that of a much larger yacht with redundancy in mind. 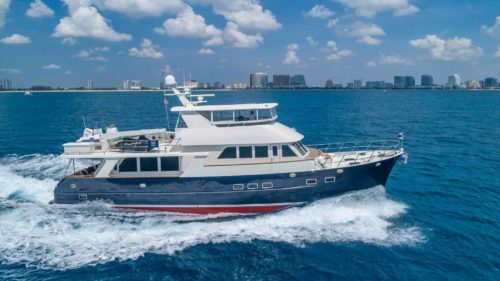 She has been completely updated, including freshly rebuilt Caterpillar 3412E engines with 40 hours and a 5 year Caterpillar Platinum Warranty. 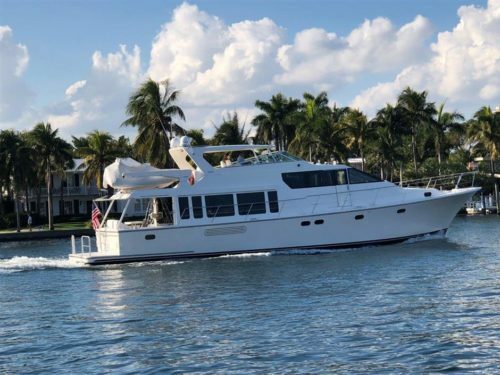 GALILEA is a gorgeous 65′ Pacific Mariner. 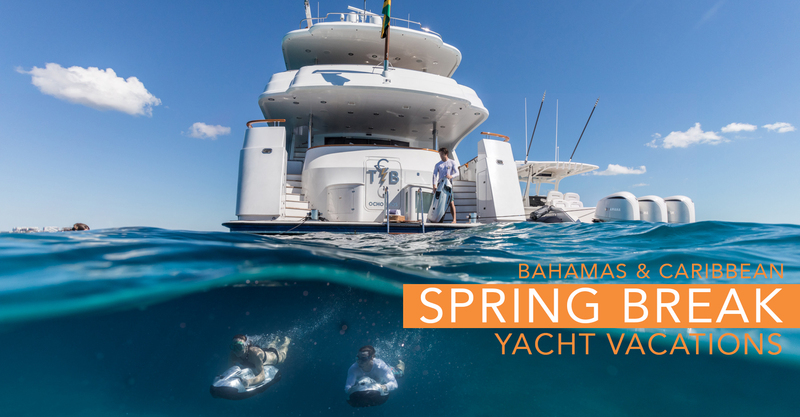 Her spacious design allows this vessel to accommodate up to 6 guests in 3 staterooms. Located in Fort Lauderdale, Florida she is ready to view! OUT A LINE is fully rigged for fishing and outfitted for comfort. 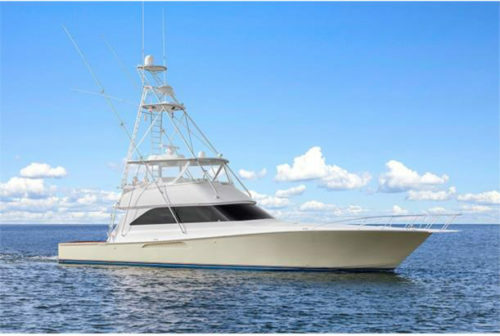 She features a full tower with a stunning flybridge, two live well systems, outriggers, tackle lockers, bait freezer, a release rocket launcher and more! 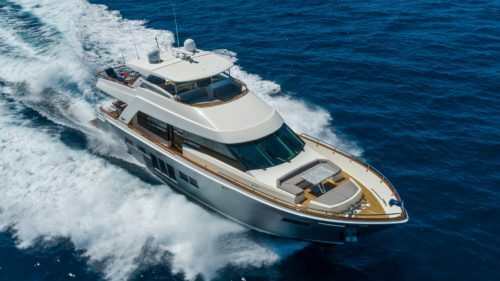 This Viking yacht is truly a turn-key boat. She has been maintained to the highest standards and is in incredible condition. 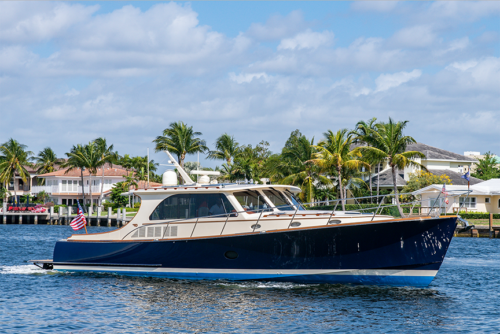 LADY G is a stunning and fast example of the Hinckley Talaria line of water jet powered boats. 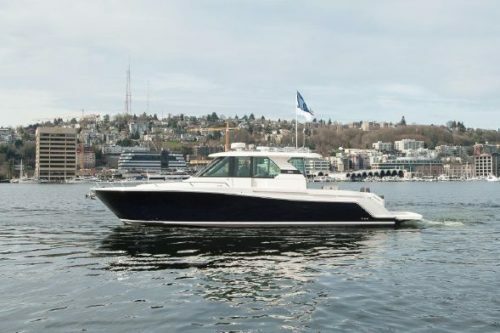 The Talaria 48 was introduced in 2011 and is unmistakably a Hinckley with its perfectly proportional and sinuous lines. 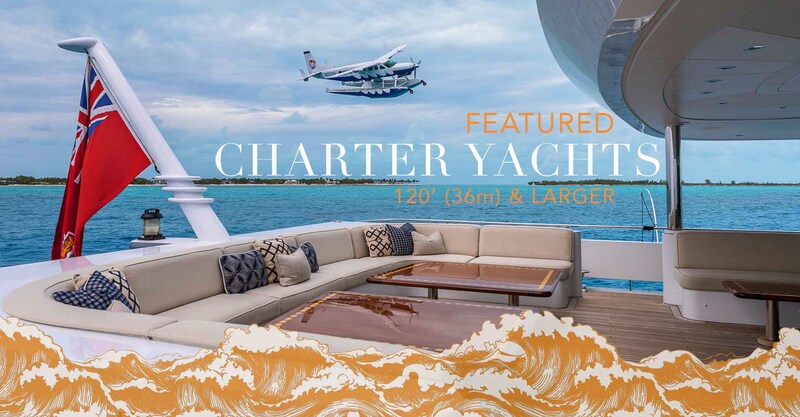 Her upgraded engine package and hydraulic swim platform are among several options that truly set this yacht apart from similar on the market. Along with her desirable two cabin and two head layout, LADY G was appointed by a very experienced owner featuring only the finest materials with every aspect of this boat worked over to perfection. The Formula 40 PC delivers everything a boater would want; beauty, function and performance in one breathtaking package. The sleek, classic Formula profile is a canvas for your choice of gleaming graphic packages, and the optional cockpit hardtop adds an exciting touch. The proven deep-V hull ensures a smooth ride and solid tracking. DOUBLE EXPRESSO is a Tiara Sovran 3600 and brings with her everything that is Tiara Yachts including solid, dependable hull design, flawless gelcoat finish, standard integrated composite windshield and hardtop, high grade stainless steel hardware, and designed safety features that are built for the boater.